The Paterson Developing Tray is constructed of a hard durable, chemical resistant plastic, and is available for all popular print sizes. 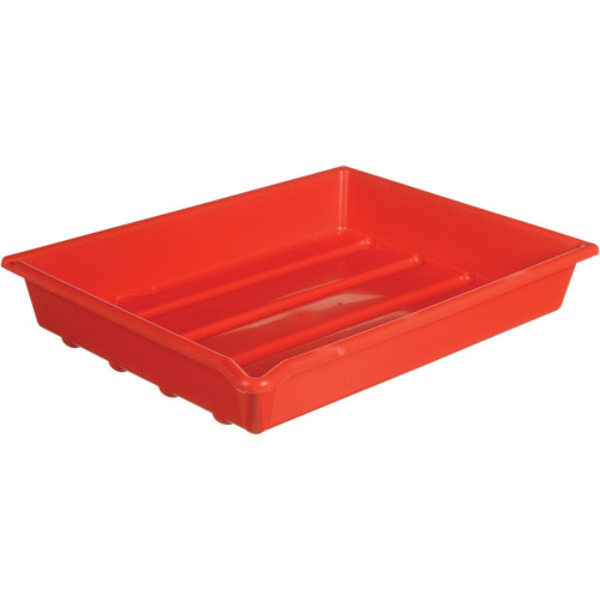 This is a single red tray that is 16" x 20" (40.6cm x 50.8cm) in dimension. The colour of the tray help differentiate between chemicals under safelight conditions. The base design of the tray gives maximum economy of solution and easy print removal, with a convenient pouring lip for drip-free emptying. The tray is also stackable for easy storage.